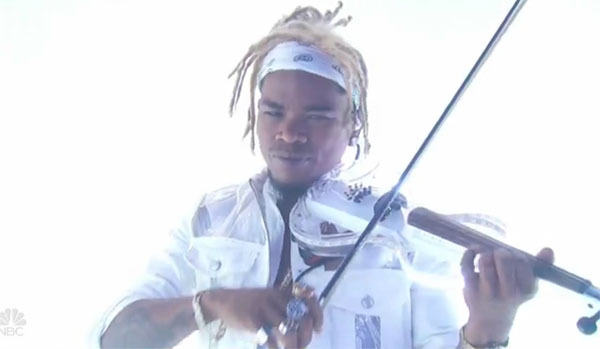 Violinist Brian King Joseph bring dramatic performance on America’s Got Talent 2018 Season 13 Live Finals on Tuesday, September 18, 2018. “It’s amazing. That was epic, it was truly amazing. You just set the bar for the whole evening,” said Howie. “You are 100% the best violinist performer of all time I think,” said Mel B. “You really did well. You are unique,” said Heidi. “I think you got a real shot here,” said Simon. Here’s how to vote for Brian King Joseph. What can you say about Brian King Joseph’s performance? Share your thoughts below.